Try RestApp to discover and make your business future proof. Your customers, your service, why loosing money? 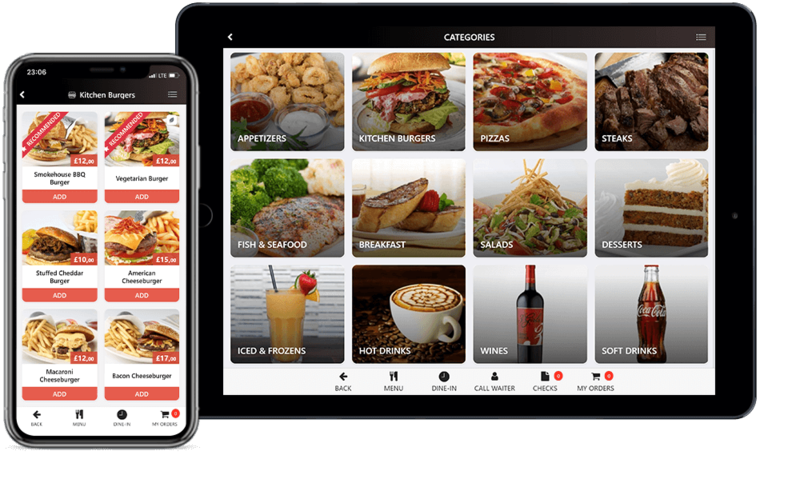 Let your existing and new customers give orders from your own intuitive website and mobile apps easily and earn points from their orders to spend on their next orders. Everybody wins. 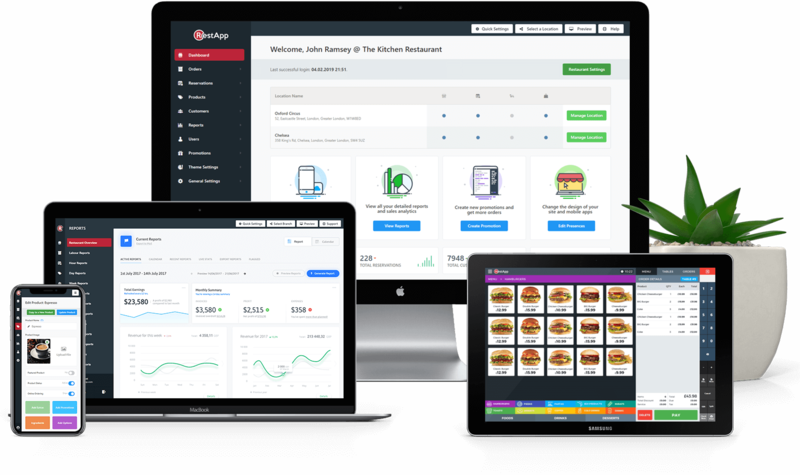 Manage your restaurants from anywhere with RestApp's Back Office web and mobile applications. 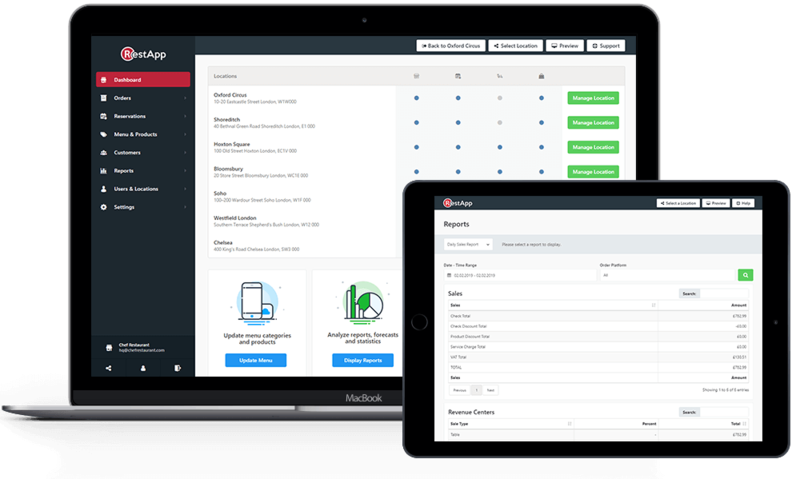 Instantly update prices, add new products or analyze reports and create new campaigns. You won't need an expert to do all that, its so easy. 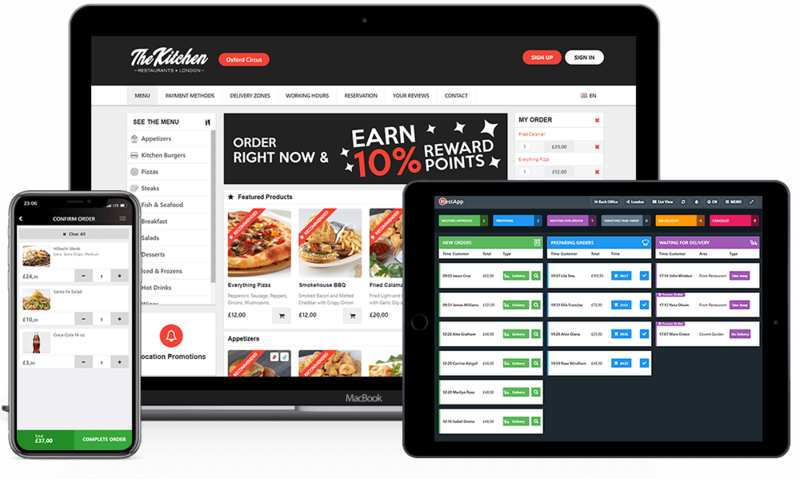 Want to drive more orders with less workforce? Let your customers give orders by themselves. Orders will increase significantly and customers will be happier. Offer them more products with their order, and keep offering while they are enjoying their time. We are integrated with the best solution partners available for your business.